The award-winning CTC proudly present the classic tale of A Christmas Carol. Please note the 2.30pm performance on Sunday 30 December is now sold out. 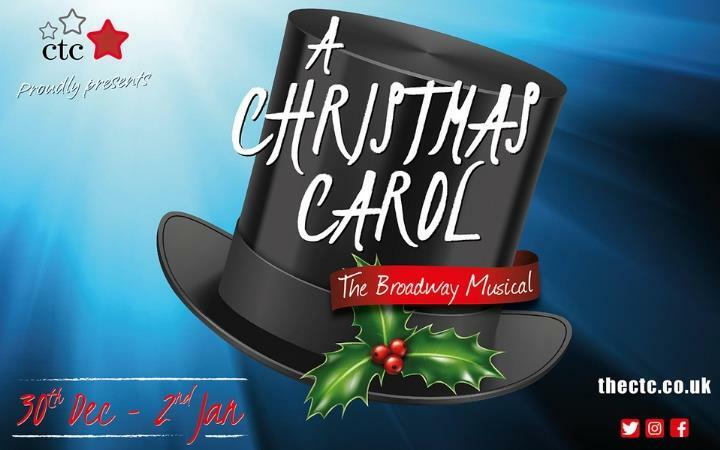 With music by the renowned musical theatre composer Alan Menken, this is a spectacular musical adaptation of Charles Dickens' most well-known story; a perfect festive treat for all the family. Ebenezer Scrooge is a prosperous curmudgeon who believes that personal wealth is far more valuable than the happiness and comfort of others. With an infuriated "Bah! Humbug! ", Scrooge summates his feelings of Christmas tidings and charitable giving, but he's forced to face his selfish ways when three ghosts on Christmas Eve lead him through his Past, Present and Future. This event is promoted by The CTC.